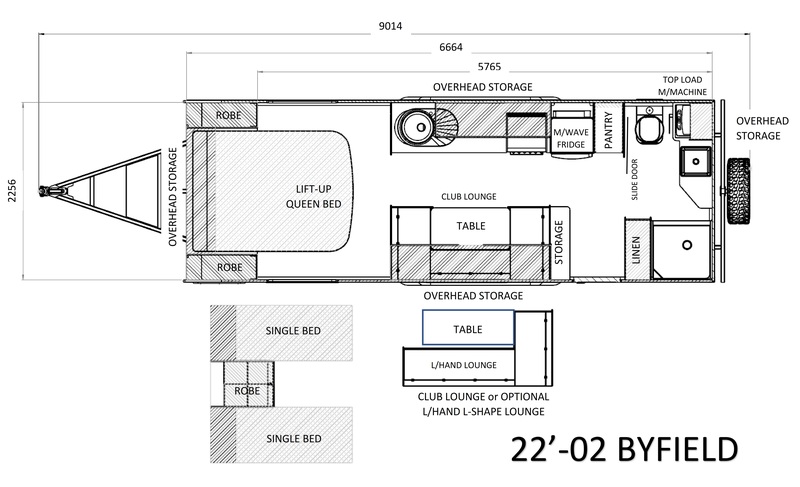 The 22-foot Byfield is our largest caravan and the flagship of the AusRV range. 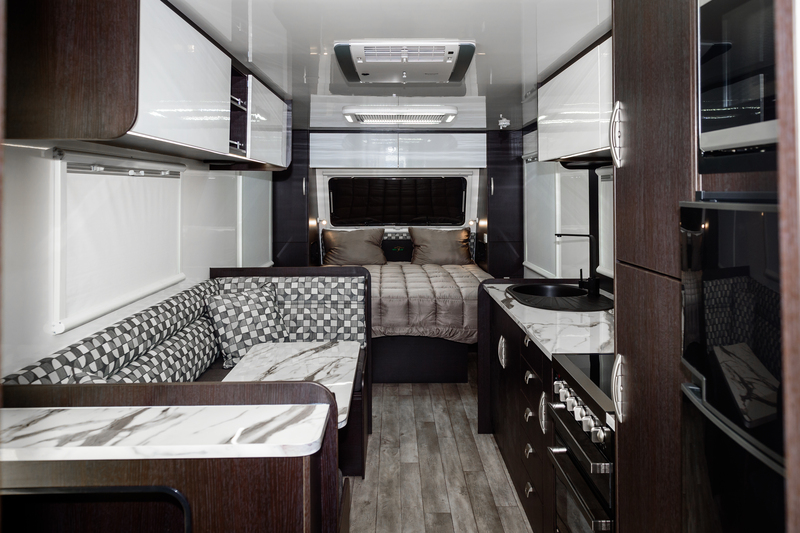 Rich with features, creature comforts, high quality componentry and technological advancements, the Byfield takes touring style and sophistication to the next level. 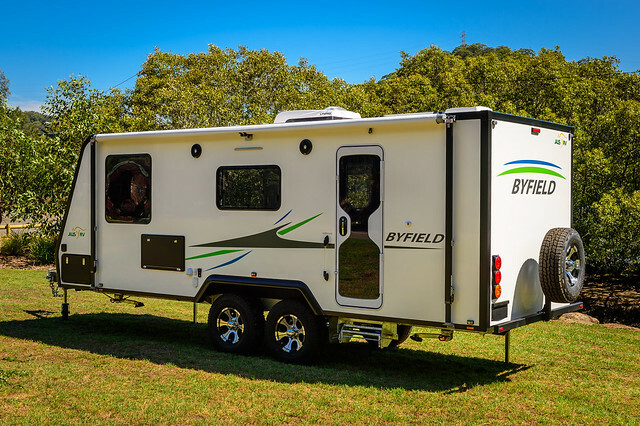 Designed with Aussie roads in mind, the Byfield features industry leading AL-KO independent suspension and stability control. 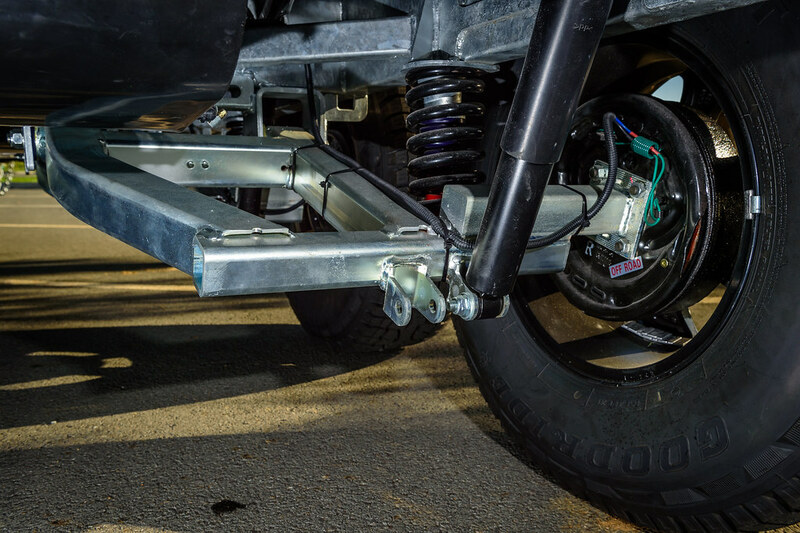 Coupled with excellent structural rigidity, you can be assured of stable, stress-free towing over the long haul and excellent off-road capabilities. 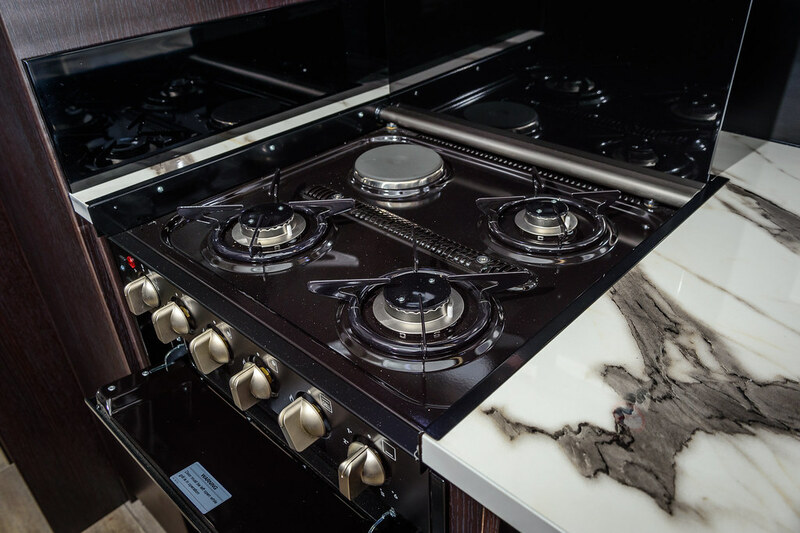 AusRV Caravans are proudly Aussie made and built from high quality, Australian sourced and made materials. 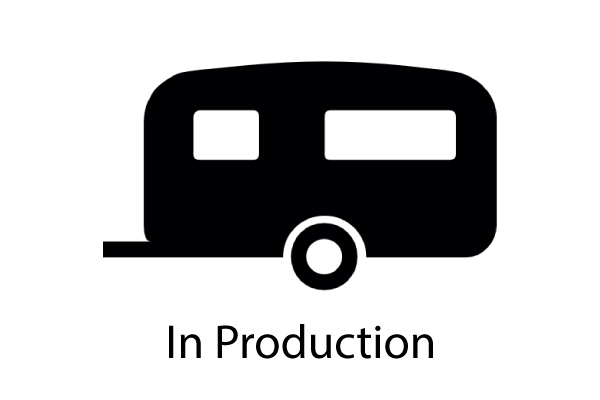 Locally built in our Queensland factory by our skilled RV tradesmen, AusRV Caravans are lightweight, strong, water, dust and hail resistant and come with a 5 YEAR STRUCTURAL WARRANTY (3 years for electrical appliances). 3 Year FREE Roadside assist. 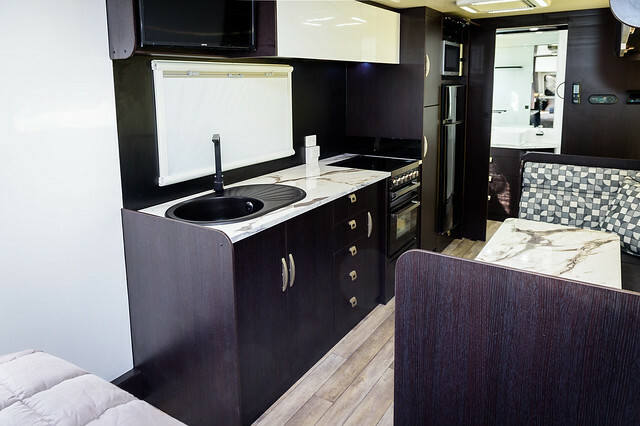 Built using the same advanced techniques as developed in high-tech racing yachts, AusRV caravans utilise modern composite construction materials incorporated into a ‘frameless’ monocoque design. Very lightweight yet extremely strong, the fibreglass foam-core composite walls and roof are bonded to a one-piece resin infused floor, resulting in an incredibly rigid, durable and rot-free structure. Ergonomically designed for optimum space and freedom of movement, AusRV interiors combine practical features with style and accessibility. 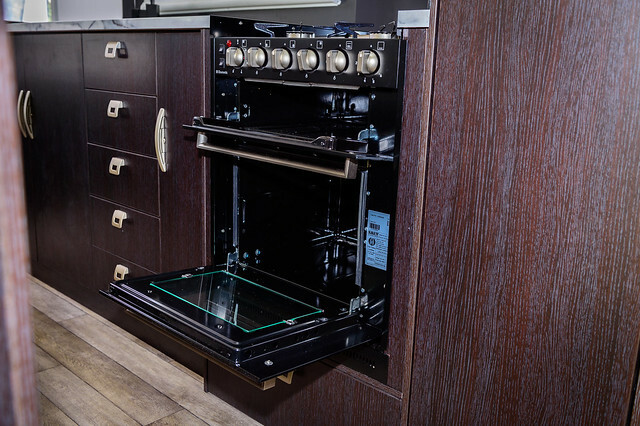 Enjoy the spaciousness of the shower, toilet and vanity area, cook up a storm in the fully appointed kitchen then lay back and relax on the comfy club lounge. 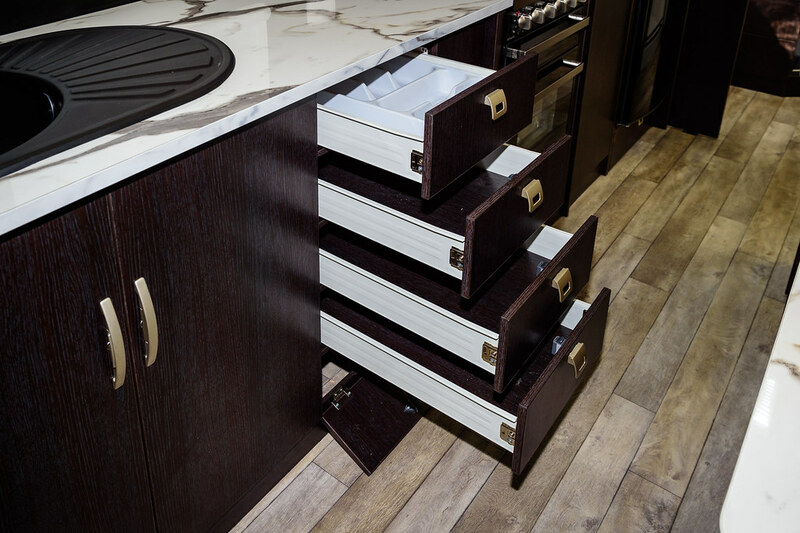 Precision machined to a millimetre-perfect fit using the latest CNC machining technology and made with high quality, lightweight Falcata Plywood, AusRV internal cabinetry provides an attractive, intelligently designed storage solution with optimal internal space and convenient placement. 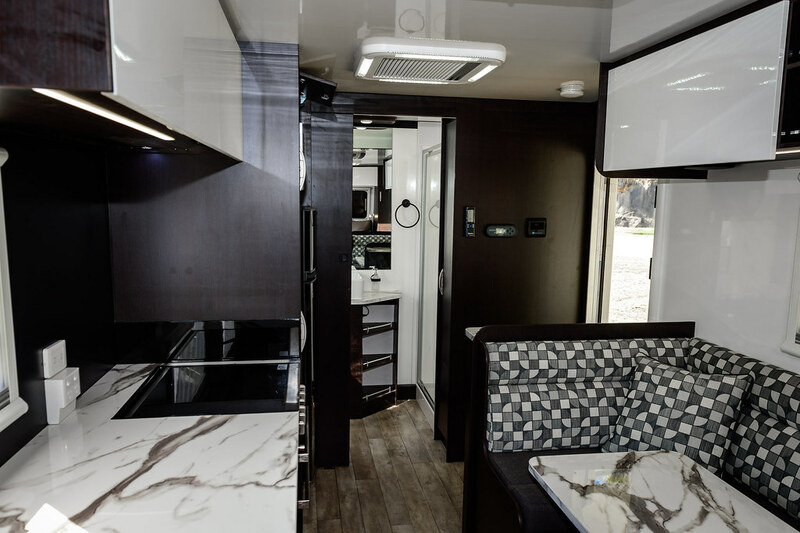 You’ll immediately feel at home in an AusRV thanks to a full complement of high quality, modern conveniences including (but not limited to) a 24” LED television, Fusion sound system, Dometic fridge/freezer, 240V microwave, 3 burner cooktop with hotplate, 3.2kg washing machine and Truma air conditioning. The REDARC Manager30 is a 30A state-of-the-art battery management system designed to charge and maintain auxiliary batteries by incorporating AC, DC and solar inputs. 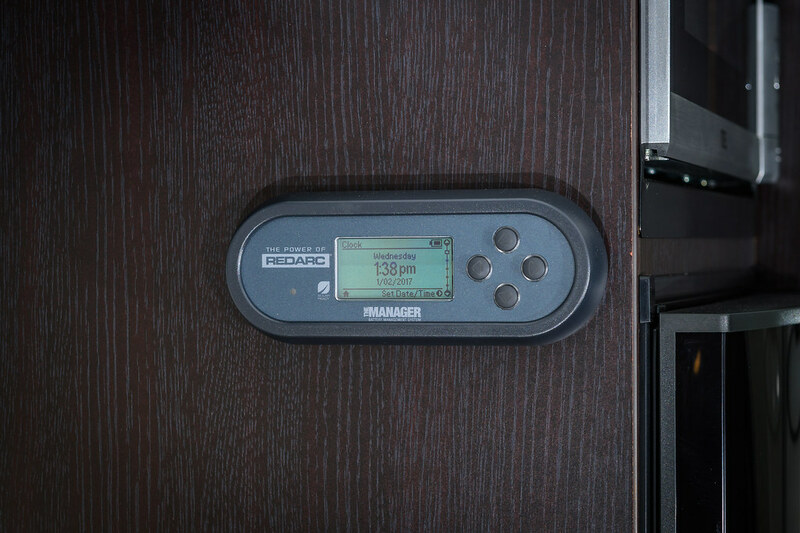 The Manager30 operates like 6 separate products – it has the ability to charge an auxiliary battery from the vehicle while on the move, it’s a 240 volt charger, a solar regulator, a battery isolator, a load disconnect controller, all with a remote battery monitor. And to ensure the highest safety standards all AusRV 240v electrical fit-off is certified by fully licensed electricians. We offer all customers a complete range of interior fabric and furniture colours. We also offer multiple layout options so you can design your very own caravan to your own personal taste.